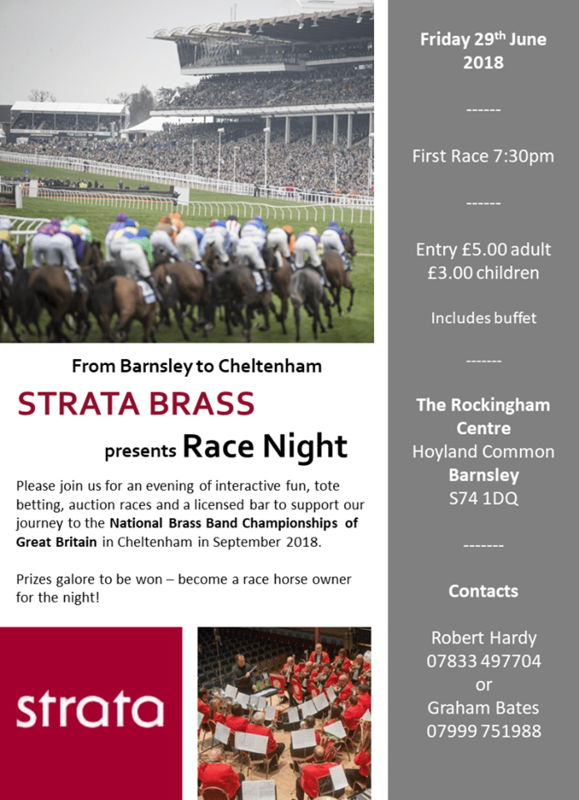 Strata Brass are pleased to announce several new signings ahead of their appearance in the Yorkshire Championship Area Contest in March. Kelvin Tsang who is over in the UK to study takes up the Principal Euphonium seat while Joe Bradford takes up the position of Assistant Principal Cornet, having impressed the band over the last few weeks with his Repiano Playing. David Edwards fills the vacant Repiano chair and Oliver Bartlett takes up the 2nd trombone position, transferring from the City of Cardiff Mellingriffith Band. The band is happy to see Josh Allen return to the band on Eb Bass following a period away. Josh was part of the winning First Section Regional Yorkshire Championships in 2018. Absolutely delighted to announce a strong 3rd place for the band at the Preston Guild Hall in preparation for the Yorkshire Area. This secures an invitation for the band to the Spring Festival in May. Strata Brass held their annual Christmas concert and awards on Wednesday 12th December 2018. Strata played mixture of traditional Christmas songs, new arrangements and audience carols. The band also presented an award of appreciation to Musical Director Johnathan Bates for all his hard work, which has result in the band being awarded 10 prizes in 7 contests this year. Strata are delighted to announce a number of changes in personnel as we look towards the challenges that 2019 holds. Firstly a huge welcome to Adam Delbridge-Smith, who joins on Soprano Cornet. Adam is currently in his first year at the Royal Northern Collage of Music at Manchester studying Trumpet. He started playing at St Newlyn East Brass Band at the age of 12, Adam as also held the position of Principal Trumpet of the Cornwall Youth Brass Ensemble from 2014 to 2018. We also welcome Matthew Balderson on Eb Bass who joins us from Skelmanthorpe Prospect band. Matthew hails from just down the road in Huddersfield where he started playing at the age of 8 on cornet and went on to play various instruments before finding his love for the bass at the age of 14. Matthew is really looking forward to the challenges what lie ahead with the band and has been really impressed with what he has seen band’s setup so far. On Sunday 30th September the band took part in the Bolsover Festival of Brass 2018 and was delighted to be placed 2nd overall in the first section and equal 4th in the championship section, whilst also being awarded the prize of the most entertaining band in the championship section. Strata are delighted to announce a number of changes to personnel in our cornet section. Firstly, a huge welcome to our new Principal Cornet Lucy Heeley who joins us from Chapeltown Silver Prize Band, where she has been assistant principal cornet since 2017. Lucy has numerous accolades, including being awarded Rotherham Young Musician of the year (Intermediate Section) in 2017 & more recently several prizes in the Holme Valley Solo Contest. She’s also part of the 2018 National Youth Brass Band of Great Britain. All this & Lucy isn’t yet 14! Our gratitude goes to John Parkinson who steps down from the principal seat due to work commitments. John is staying with the band as assistant principal cornet. Welcome also to Jennifer Doran, who joins on the front row from Worsborough Brass. Finally a huge thank you to Philip Barrett who has unfortunately had to make the decision to retire from playing for health reasons. “After so many years I have many good memories but one I will always cherish is the area win earlier this year. With the above changes that means we’re almost at full strength, however we are still recruiting for a Tenor Trombone. Please contact us if you’re interested! We now look forward to our next engagement at Wetherby Bandstand in August, before the National Finals in September. Strata would like to officially welcome Mark Tweedle to the band on Eb Bass. Prior to joining Strata, Mark was a long standing member of the Yorkshire Imperial Band. 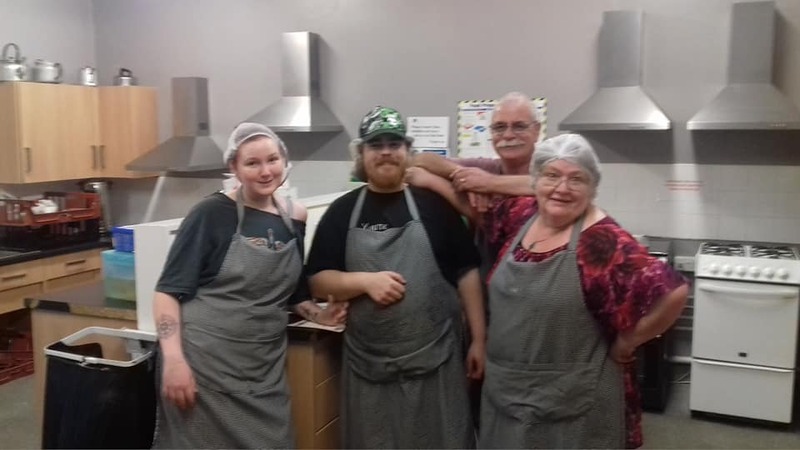 He has appreciated the warmth of the welcome he has received from Strata and is looking forward to helping them compete in the National first section finals in September and in the Yorkshire Championship section thereafter. 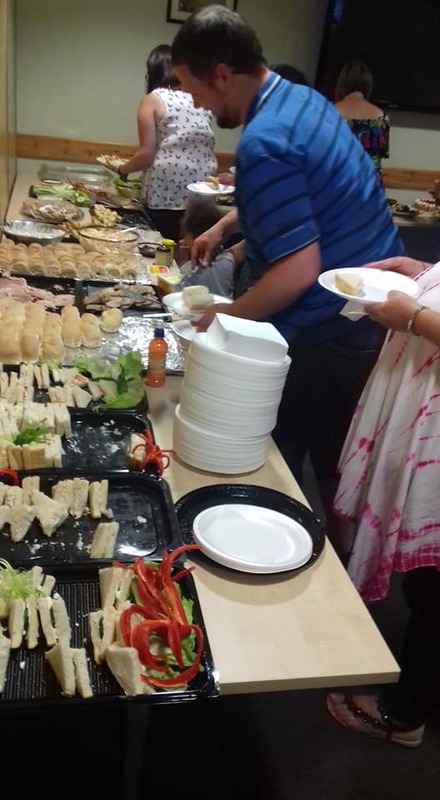 Last night saw Strata hold a successful race night event at the Rockingham Centre, Barnsley. A great evening was had by all & ultimately raising £800 to support the Band in getting to the National Finals in September. 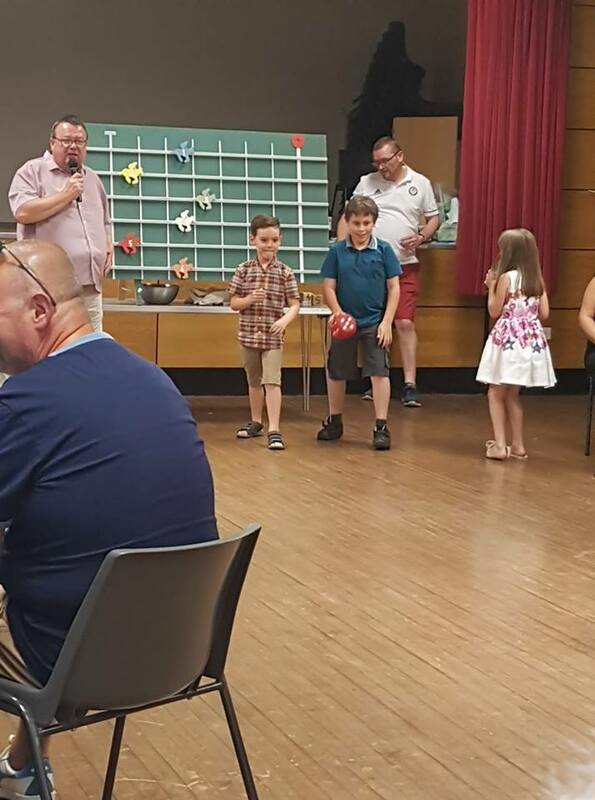 We now turn our attentions to the upcoming Whiston & Shirebrook Entertainment contests on the 7th & 8th of July respectively. Race in action – plenty of assistance with the dice! This post is intended to explain a little more about what the race night is about & how it will work. Is this like other race nights? This is not your traditional “watch a video” night. 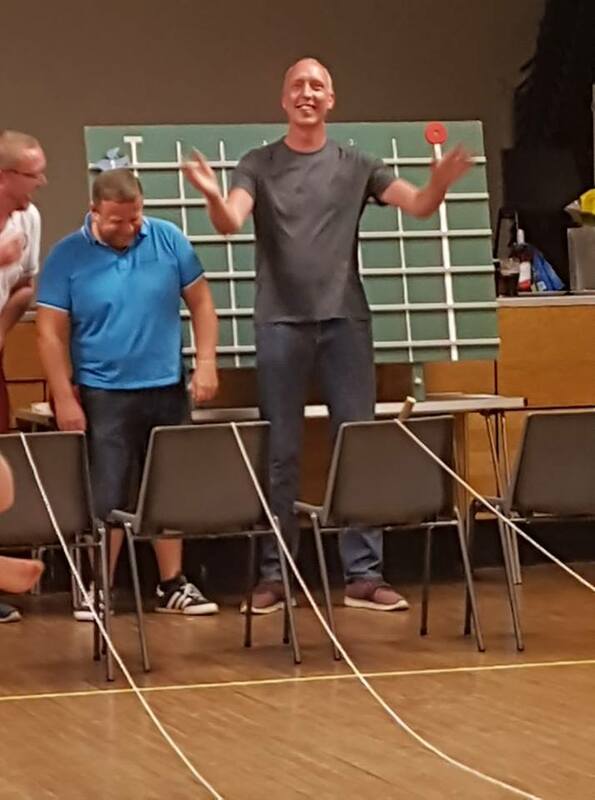 It’s far more interactive with a huge board, six wooden horses and two volunteers per race throwing dice to decide which horse moves along the board. The kids (big & small) will love it! How does the betting work? Tote Betting is used – everyone can wage anything from 20p upwards on each horse in each race on the night. Odds are calculated and winnings announced before each race. How are the races organised? There are six races, each with six horses. Each horse can be bought for £2.50. The owners tickets are available in advance. Each horse can be sold multiple times. Prizes for each race are drawn on the night to ensure full transparency. The winning horse owners take away a prize – so for each race that’s a 1 in 6 chance of a prize! Is there a big finale? If you have any more questions then please get in touch with us (via our contact page) & we’ll do our best to answer them. We’ll also gladly sell you tickets & hope you can join us!